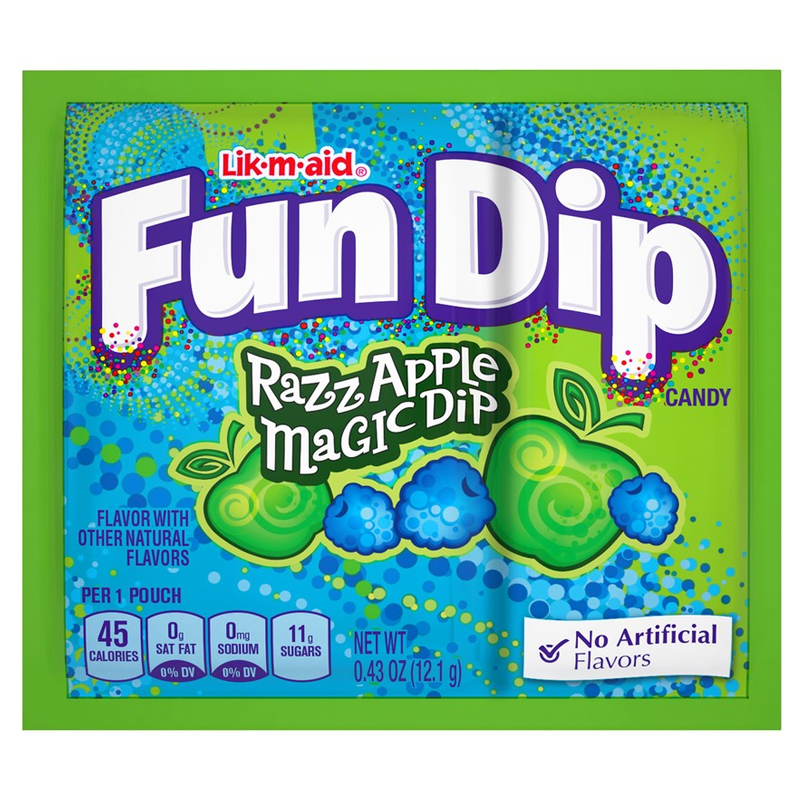 Lik-M-Aid Fun Dip has been around since the 1950's and enjoyed for generations by kids and adults alike! Update to the 21st century, and Wonka have re-vitalised the original with some fabulously-fruity, tongue-tingly tangy flavours! 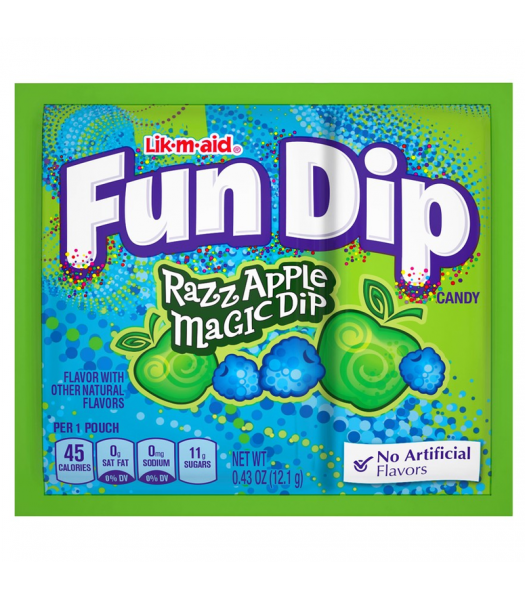 Grab one of the lik-a-stix and lick and dip it into the Razz Apple Magic fizzy dip.